The Retina display is Apple's branding for a monitor in which the individual pixels making up the images on the screen are not discernable when viewed at a normal reading distance. That all the dots vanish into one continuous image. This technology was first introduced on the relatively small iPhone 4 monitor, then on to the slightly larger iPad display. Apple has made the leap and introduced this technology onto the Macintosh Macbook Pro laptops. Showcasing an amazing resolution of 2880 x 1800 (or 5.1 million pixels), you can expect text and high contrast graphics to appear crisper and cleaner. I am talking about a notably cleaner representation on screen. I invite you to check out the incredible amount of detail and screen real estate that you will have on this desktop via the Apple Macbook Pro product page. The negative is that as you start to work with higher resolution imagery and the like to fill up the screen, you will see files sizes continue to grow. Just something to keep in mind! Not only is the display gorgeous but the entire Macbook Pro has been redesigned from the ground up! The product is impressively thin...just .71 inches and 4.46 pounds to be exact. Included in this sleek package is a quad-core Intel Core i7 Ivy Bridge processor running at speeds of 2.7GHz and support for 16 gigabytes of RAM. You also get the NVIDIA GeForce GT 650M to push those 5.1 million pixels around in real-time. Mountain Lion is Apple's next Operating System release which is expected to launch in July via the Mac App Store for $19.99. This update centers around better internet services integration such as improved iCloud support to make it easier to share your files across your Mac, iPhone and iPad. And the more interesting addition is the substantial integration directly with Facebook's services. This includes syncing your contacts, sharing directly from the Safari web browser and Notifications screen updates. All the Apple Macintosh apps are updated to leverage the new high resolution display including Mail, Safari, iPhoto, etc. Another exciting enhancement for me is the AirPlay Mirroring feature that allows you to display your Macintosh's screen with a TV connected to an AppleTV device for simple, wireless presentation sharing. If you'd like to see a video that highlights all the updates coming next month...check it out on Apple's website. Other things that happened but were not announced? 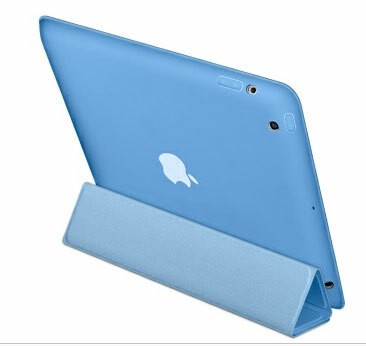 New Smart Case for iPad!!! As you probably know from previous posts, I have loathed the magnetic Smart Cover the Apple offers. It leaves the back of the device exposed AND the magnetic part slips and disconnects all the time. Finally Apple is offering a full case now that is similar to the cover but adds a protective backing. The case is extremely well fitted as you would expect from Apple and is made from polyurethane and offers the low-profile angle for keyboard-like typing on the screen. Would have liked a leather option and am not blown away by the six color choices but this could be the nicest offering I've seen in a sleek case offering. Lame Mac Pro Update...what more can I say? Maybe a little history first. 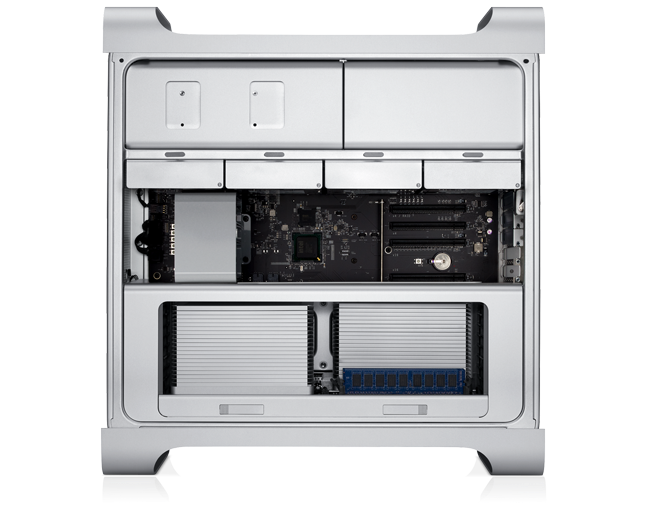 The MacPro is the full-sized desktop computer that Apple has sold for many years. The current version was introduced in 2006 and I am typing this write-up on that computer. What I like about the desktop computer over the iMacs is that ability to add new capabilities to the platform. 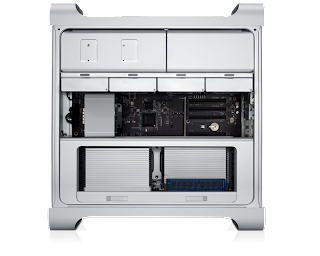 This specific MacPro has a ultra high-speed Serial ATA interface to drive my RAID drives and an updated videocard for enhanced graphics. I utilized the half-dozen USB and Firewire ports, the four internal hard-drives and a slew of other peripherals. So what has Apple done? Pretty much nothing. The update included some new processor options which doesn't even include the new chips Intel introduced last quarter? The package still utilizes the same video card launched in 2009!!!!! This update was not even worth doing. I get it. This package is not mass market and doesn't warrant support when they can sell you an iMac that will last a few years and then you just junk that and buy a new one. They don't like that I am operating on the same system for 6 years! I'm sure they will kill this category...they probably already have and that is why we got this lame update that just helps them clear out inventories??? But it is a shame, I really like the option to support new features and capabilities via PCI cards and the like. There was a slew of iOS (iPhone/iPad operating system) updates but those get a bit geeky and I will cover that when iOS6 gets released. 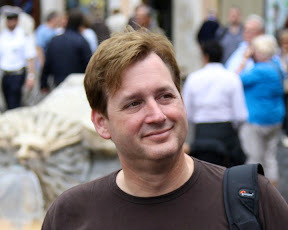 Larry Pacey, award-winning designer tracks the latest news on consumer products, electronics, appliances, smart devices, networking and the gadget lifestyle. Please comment below and share your thoughts. If you have any feedback or questions, feel free to email me at wouldntmind@gmail.com. E3 2012 - Sony PS Vita - Very weak showing!